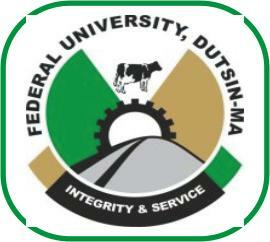 The Federal University of Dustin-Ma [FUDMA] Continuing Education Centre [CEC] Part-Time Certificates Programmes First Batch Admission List for 2017/2018 Academic Session. Admitted Students are to note that Registration of admitted students starts on 17th April, 2018 while lectures commence 4th May, 2018. Admitted students are to pay the sum of Thirty Two Thousand Naira only (N32,000) for Sciences and Twenty Eight Thousand Naira only (N28,000) for others. Students will be required to present the original of certificate(s) or any other evidence of qualifications at the time of registration. You are also required to present a letter of reference from a person of reputable standing in the society vouching for your good behavior at the time of registration.